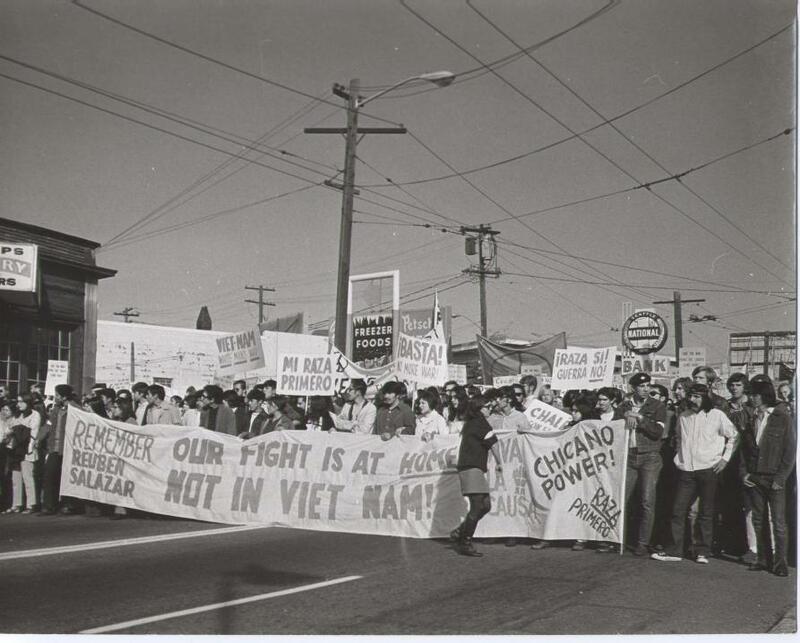 MEChA and the Brown Berets formed a large contingent in this anti-Vietnam war demonstration in the early 1970s. See the Timeline: Movimiento 1960-1985.See also the online oral history interviews with former activists. Here is one of the more than 300 newspaper articles that we have digitized. Our News Coverage archive is a unique resource for exploring the activities of the Chicano Movement of Washington State from 1968 to 1979. This 30 minute KCTS film tells the story of the first contingent of Chicano students to enter the University of Washington in the Autumn of 1968. 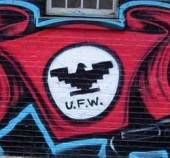 This link takes you to another special project that explores the history of the farm workers in Washington State from the 1890s to the present, with particular attention to the UFW campaigns that started in 1967. Civil rights activism by people of Latin American descent dates back to United States conquest and annexation of northern Mexico in 1848. In response to severe racism and forms of segregation that rivaled the Jim Crow South, Mexican Americans in what is now the American southwest used the courts, labor unions, and defense organizations like the League of United Latin American Citizens to fight for basic rights. 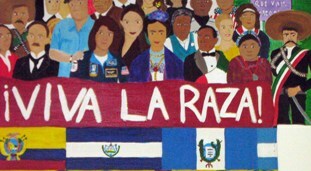 In the late 1960s, these struggles took new forms as young activists organized themselves into a movement that asserted new “Chicano” and “Chicana” identities, that united Mexican Americans and Mexicans, Indian and Hispanic heritages into a common, transnational culture and community, or “Raza.” Taking inspiration from Caesar Chavez and the United Farm Workers movement, but linking farmworker struggles with movements for justice in cities and schools, the Chicano/a movement developed strong and uncompromising tactics that brought it visibility and important victories. The Chicano/a Movement made an important impact on Washington state. Hispanic Americans had migrated through the Pacific Northwest since before statehood. Following an influx of “bracero” farm workers in Eastern Washington during World War II, their numbers grew steadily and had become significant in Washington State by the 1960s. The movement in Washington emerged in two locales: in the Yakima Valley, which was home to most of the state’s Latinos, and in Seattle and especially the University of Washington, where Chicano students launched many new initiatives. Reflecting the split geography, the movement linked together campaigns to organize and support farmworkers with projects that served urban communities and educational agendas. Key organizations included the United Mexican American Students (UMAS), the Brown Berets, Movimiento Estudiantil Chicana/Chicano de Aztlan (MEChA), United Farmworker Cooperative, El Teatro del Piojo, El Centro de la Raza, the Concilio for Spanish Speaking, SEAMAR Community Health Centers, and radio station KDNA. 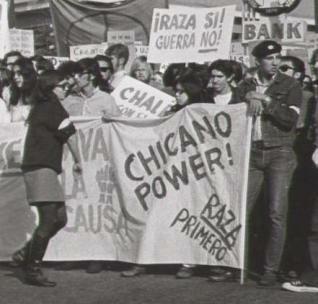 This page introduces the Chicano Movement in Washington State History Project. This multi-media special section details and documents a generation of activism by Chicano students and community activists from the mid 1960s to the 1980s. It comprises the most comprehensive online resource for exploring this vital history. Links above and below lead to oral histories, several photographic collections, rare documents, important essays, and an archive of digitized newspaper articles, nearly 300 in number. These materials have been created and assembled with the cooperation of MEChA de UW. Oscar Rosales Castañeda, Michael Shulze-Oechtering Castañeda, Angelita Chavez, Edgar Flores, Chris Paredes, Cristal Barragan, Francesca Barajas, and Roberto Alvizo initiated this project and are responsible for much of this special section. “Raza Si! Chicano Activism in Washington State 1965-present” This powerpoint slideshow introduces the special section. Video Oral Histories: short biographies and streaming video excerpts of interviews with Pedro Acevez, Yolanda Alaniz, Teresa Aragon, Juan Jose Bocanegra, Blanca and Frank Estella Martinez, Sydney Gallegos, Erasmo Gamboa, Guadelupe Gamboa, Rosalinda Guillen, Roberto Maestas, Ricardo Martinez, Rogelio Riojas, Jesus Rodriguez, Rebecca Saldana, Tomas Villanueva. Photographs and Murals: including pictures from the Jesus Rodriguez collection, and Oscar Rosales Castañeda’s photos of Seattle Murals. 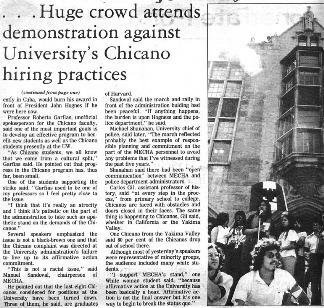 News Coverage: We have digitized more than 300 newspaper articles that appeared between 1968 and 1979, making it possible to follow the news coverage that surrounded the Chicano Movement. For Teachers: a lesson plan designed for middle school high school classes.